Straight from Bill Daly himself! Insane! The NHL is expected to add a 32nd franchise into the league in 2020 when Seattle is approved as an expansion market at the NHL Board of Governors meetings in December. That’s a slam dunk… no surprises there, right? 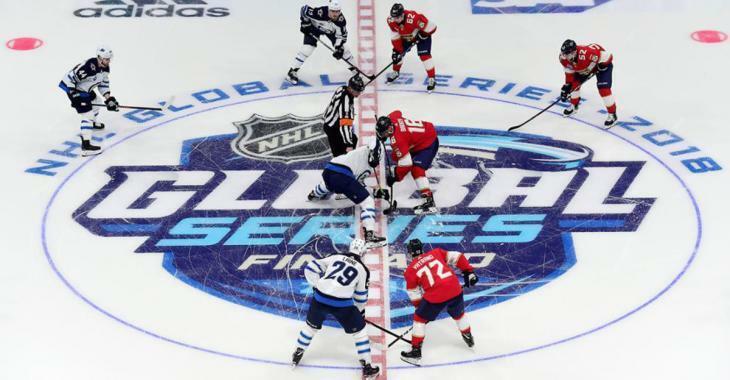 What IS a surprise however, is that the NHL has confirmed that it’s planning on adding even MORE franchises in the future, but not in Canada or the United States. Say what!? During a radio appearance with TSN 1050 in Toronto today, NHL deputy commissioner Bill Daly admitted that “one day” the NHL will have teams in Europe. Crazy! Here’s a thought… how about the NHL takes care of the teams it already has instead of worrying about fans in Sweden, Russia, Finland, Germany or wherever else they plan on expanding to. A league with 32 teams is already crowded and their are franchises like the Arizona Coyotes, Florida Panthers and Carolina Hurricanes who struggle to stay relevant on a year to year basis. To be fair, it’s unclear at this time whether Daly believes the NHL will expand to Europe or if existing teams will be relocated to Europe, but either way it has to be a logistical nightmare to plan all of this. Chances are we’re years away from anything like this ever happening, but it’s interesting to note that the NHL is planning things like this behind closed doors. So don’t be surprised if suddenly you’re cheering Clayton Keller and the Stockholm Coyotes in 2025.